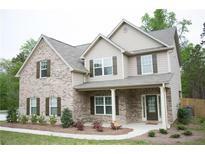 Find Lithia Springs, GA Condos for sale. View Photos, Maps and MLS Data Now! The Home Is Priced To Sell!! ! MLS#6537723. Ibuyisell Realty. Perfection Tucked Away In Privacy. Welcome Home! MLS#6537065. Atlanta Communities. Unpack And Begin Enjoying Your New Home! MLS#6536772. Ayres Realty Company. **H&B Offers Due By 5Pm This Thursday, 04/18/19** MLS#6534606. Harris Real Estate Service, Inc.. Closing To Shopping And Highways For A Convenient Commute. MLS#6532287. Mark Spain Real Estate. Let'S Make A Deal Today & Claim Your New Castle! MLS#6529441. Harlan Realty Group Atlanta. Home Includes Gas Furnace, Elec Cooling, 3 Bay Garage/Workshop Includes New Roof, Siding Replaced, High Tech Alarm, Enclosed Rear Porch, Fenced Back Yard MLS#6532176. Bhgre Metro Brokers. Property Is Strictly Sold As Is. MLS#6532482. Real Living Georgia Life Realty. Tons Of Space, Freedom To Do Your Thing, No Hoa. MLS#6532006. Neo-Realty.Com. Cedar Terrace - House Needs Work, Perfect Home For You Or A Rental MLS#6529576. Atlanta Communities. The Master Bath Features A Garden Tub And Separate Shower. Sold As Is MLS#6529903. Jeff Justice And Company Realtors. Riley Estates - *Photos - Stock. For Layout Only. Colors/Upgrades Vary. 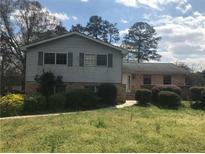 MLS#6529200. Adams Homes Real Estate, Inc.. This Charming Home Is Conveniently Situated Near Schools, Shopping, Restaurants, And Easy Access To I-20. No Hoa Dues! 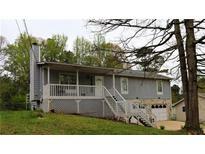 MLS#6528997. Century 21 Connect Realty. 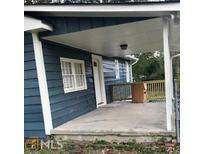 Nice Yard, And An Attached Carport Which Is Conveniently Located Adjacent To The Kitchen. MLS#6529224. Ayres Realty Company. This Home Features An Unfinished Basement That Is Stubbed For A Bath. This Is A Must Have!! ! MLS#6528594. Re/Max Tru. Outdoor Enjoy Extra Large Deck With Gazebo. Private Wooded Backyard W/Mature Landscaping MLS#6528680. Bhgre Metro Brokers. 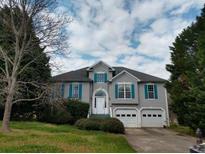 Conveniently Located On Almost 1 Acre Near Sweetwater Creek & Close Proximity To Atlanta Airport. A Must See! MLS#6527330. Re/Max Unlimited. Lithia Ridge - The Back Porch Is Great For Cookouts With A Private Backyard! MLS#6526573. Dreams Realized Realty. Professional Landscapping, A Pool House/Workshop And A Fenced Private Backyard. MLS#6526807. Atlanta Communities. Beechwood Hills - Unfinished Walk-Up Attic. This Is A Must See! MLS#6525124. Main Street Renewel, Llc..
Home Is Being Sold As Is! MLS#6525621. Ayres Realty Company. Riley Estates - Conveniently Located To I-20 And Arbor Place Mall. MLS#6525372. Bhgre Metro Brokers. There Is A Nature Trail That Leads Over To Sweetwater State Park As Well. Don'T Miss This One. MLS#6522486. Keller Williams Realty Cityside. Conveniently Located 5 Minutes From I-20, Putting You Minutess From Downtown Atlanta! MLS#6521253. Coldwell Banker Residential Brokerage. 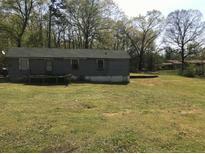 Ranch Style With 3 Bedrooms And 2 Baths With A Full Unfinished Basement. MLS#6524236. Exp Realty, Llc.. These statistics are updated daily from the Georgia Multiple Listing Service. For further analysis or to obtain statistics not shown below please call EasyStreet Realty at 404-998-4154 and speak with one of our real estate consultants.